These charts can be customized including number of players (i.e. 9, 10 or 11) in your batting order, the placement of your roster - usually on the bottom, and inclusion of any artwork - such as your organization, logo and/or league - that you wish to supply. Printed in color on heavy white cardstock. 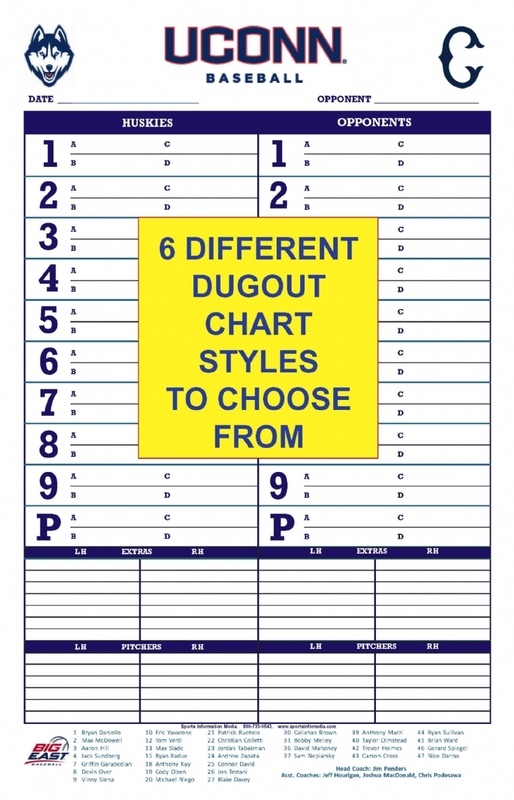 A B&W dugout chart is also available at a reduced price. 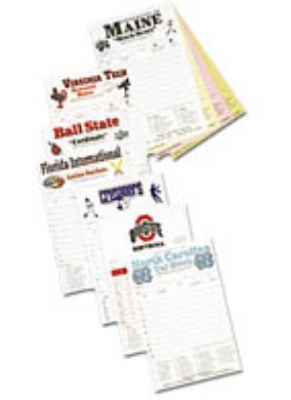 Customized to your team, with school or team name across the top. You can also supply artwork for the top of the cards, or choose among our artwork selections. Complete roster of player names and numbers are printed at the bottom for easy reference upon request. Can be ordered without roster (which will be replaced by an inning by inning linescore). Typically, ten batting slots with the 10th designated, at your option, with a "P" for pitcher or "10". Typically mounted on a dugout wall but can be taped to a fence or any other surface for quick reference. The BUNDLED product requires customization. Please add this item to shopping cart separately - You will receive the discount in the shopping cart.